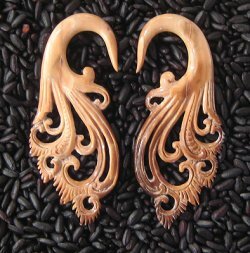 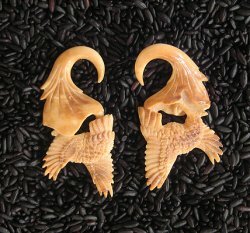 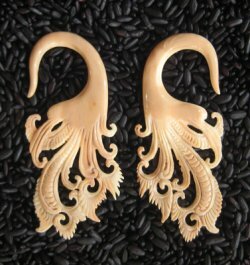 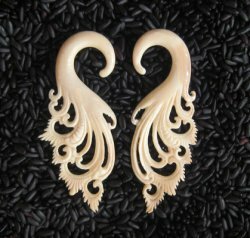 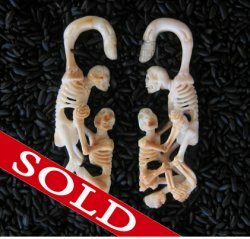 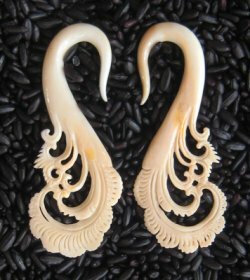 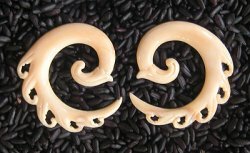 High Quality Genuine Organic Fossilized Antique Walrus Tusk Body Jewelry. 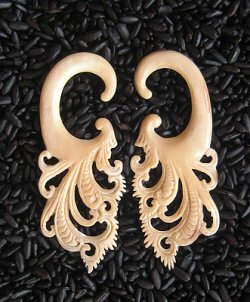 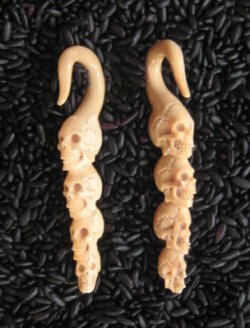 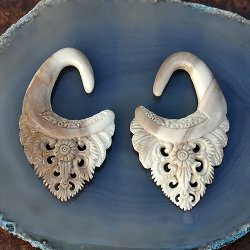 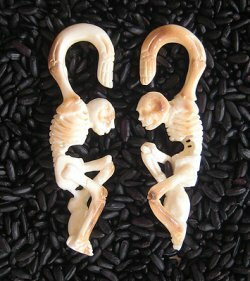 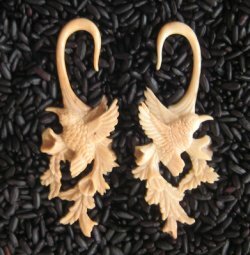 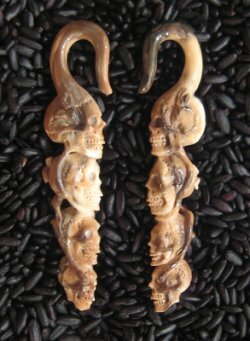 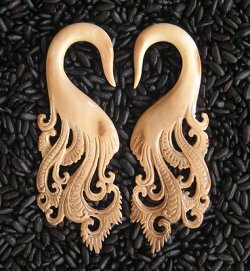 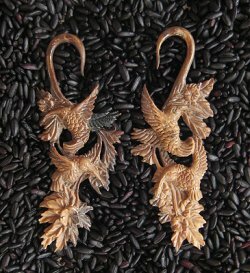 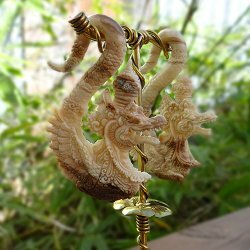 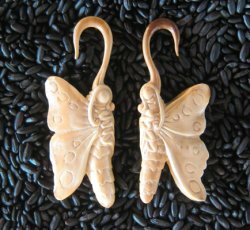 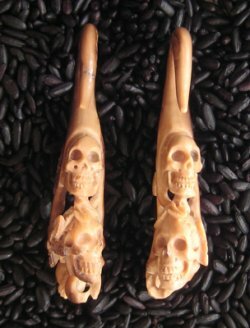 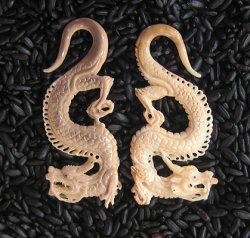 Each pair of ear hangers is hand carved by professional artisans and is one of a kind. 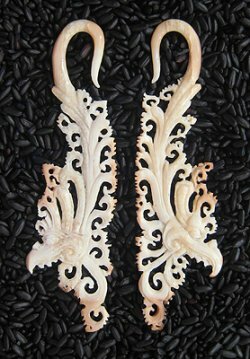 Walrus tusk is a beautiful material and jewelry created from it is truly gorgeous. 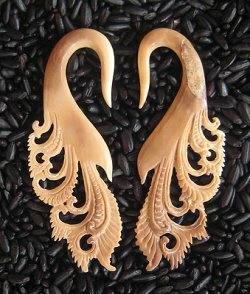 The tusk material used to make this jewelry is harvested from streams and rivers in Alaska. 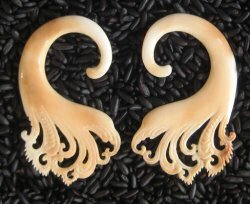 All Walrus Tusk that we carry is "Antique" meaning that the material is over 100 years old and thus does not contribute to endangering marine mammals. 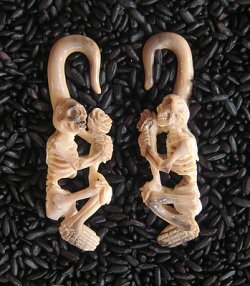 Walruses are listed as an endangered species.